Having an OBD2 scan tool is useful in many situations when an engine light comes on. But what if you dont have a scan tool and need to know the code? 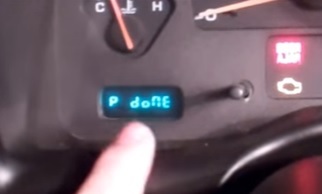 Many vehicles has a built-in diagnostic that will give the code as I recently found out with Dodge cars and trucks. 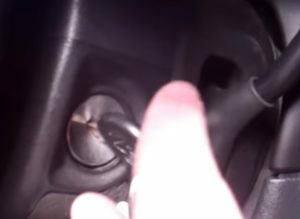 I haven’t tried this on all Dodge cars and trucks but it certainly worked for me on a 2001 Dakota, and many others have stated this method has worked for them. The steps are easy with the key simply needing to be cycled on and off three times. 1… Cycle the Key from OFF to ON three times. 2… The last cycle the key should be in the ON position. 3… It will give the code in the odometer LCD window on the dashboard. 4… The code will show for only a moment than flash P-done before going back to normal. Simply Google the code and the problem with your Dodge can be found. If you miss the code since it does flash quickly simply repeat the steps. Hopefully this helps if you have a Dodge and dont have a OBD2 scan tool to see what the code is. If this works with your Dodge let us know in the comments below. Worked on my 2003 Dodge Caravan. Thanks! Didn’t work on my 1999 dodge ram. Does not work on 2014 Ram 1500. 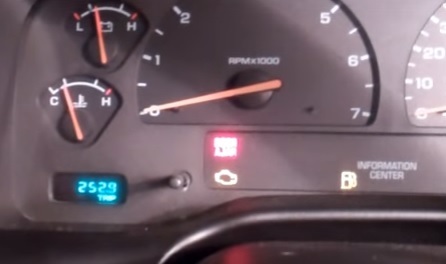 It turns on the engine symbol but does not give the codes. Worked on my 2011 Dodge Grand Caravan. Thank you, sincerely! Doesn’t do anything. Tried over a dozen times. I can pull C codes by holding the trip button in and turning on the key & releasing the button, but the 3 times off – on does nothing. Yes, this did work for me on my 2006 Dodge Grand Caravan.